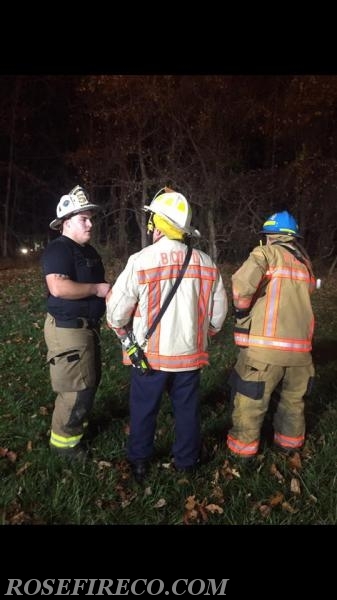 Truck 58 was dispatched to assist BCoFD with report of a basic rescue. 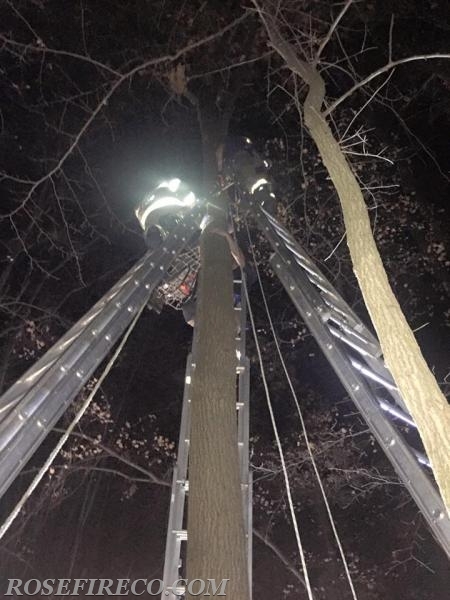 Engine 60 arrived and found a hunter in a tree stand hanging upside down. 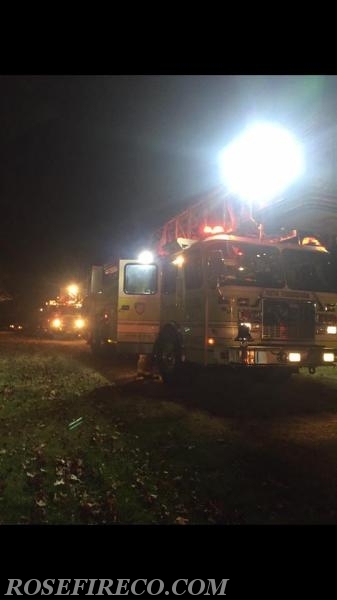 Truck 58 assisted Engine 60 with placing ground ladders around the victim. 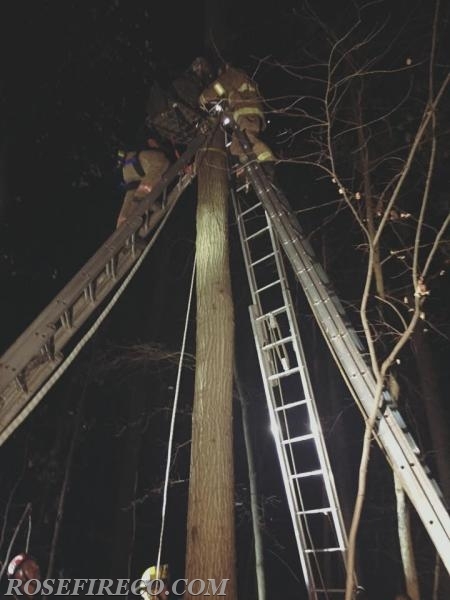 FF Kemp assisted ATR 17 with rigging to get the patient down.